Celebrations marking Morocco’s return to the World Cup finals turned violent in the Belgian capital, Brussels, with fans smashing windows, torching cars and scuffling with police, injuring 22 officers in the process. Morocco’s 2-0 away win over Cote d’Ivoire, which ensured a return to the World Cup finals for the first time in two decades, prompted mass and wild celebrations among Moroccan communities worldwide. In Belgium, where some 100,000 people of Moroccan origin live, the festivities turned into violence and chaos. 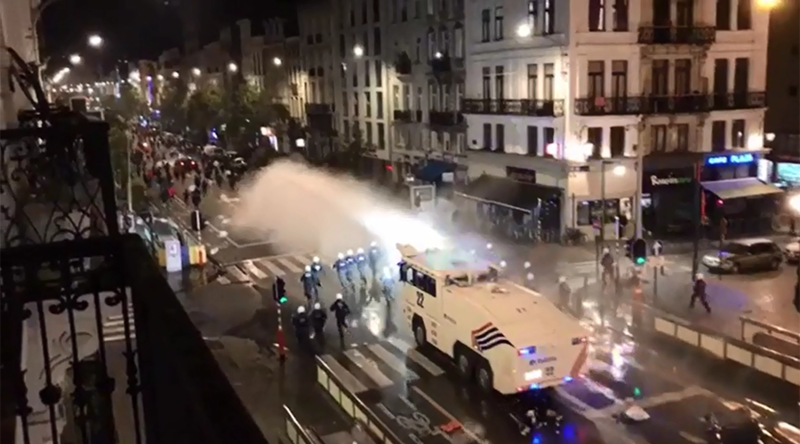 Some 1,500 people gathered to celebrate the team’s win in Brussels late Saturday, and roughly 300 of them started to misbehave, according to Belgian police. The crowd smashed shop windows and overturned cars. Dustbins were also set alight with traffic signals and street signs vandalized. Riot police officers were dispatched to the scene to stop the violent celebrations. — Aude Vanden Broeck (@AudeVb) 11 ноября 2017 г. At least 22 officers were injured in the scuffles. Police had to use pepper spray and water cannons to disperse the crowd. No arrests have yet been made. — Bekah Molony (@BekahMolony_) 11 ноября 2017 г.
Belgian prosecutors, however, vowed to punish those responsible, stating that law enforcement has evidence against the rioters. 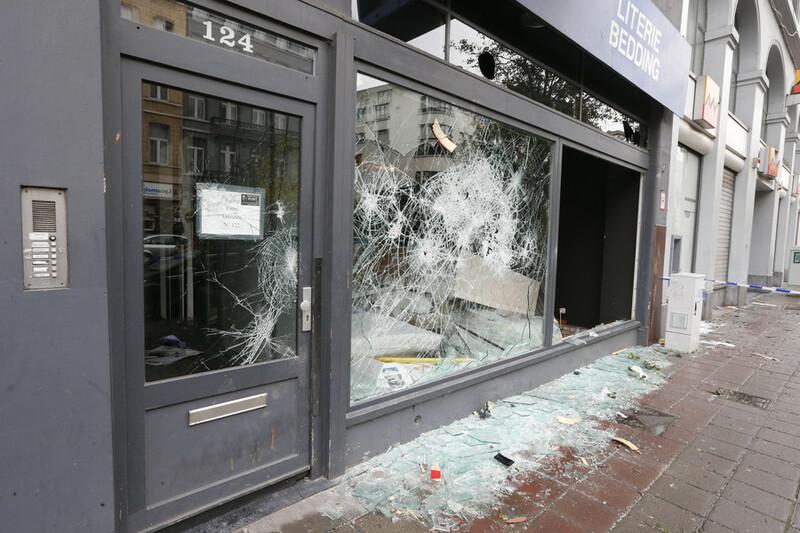 The number of injured officers and the scale of damaged property is unacceptably high, “especially for a football match that took place in Africa,” Belgium’s Interior Minister Jan Jambon stated. — Raphael Shilhav (@RShilhav) 12 ноября 2017 г.